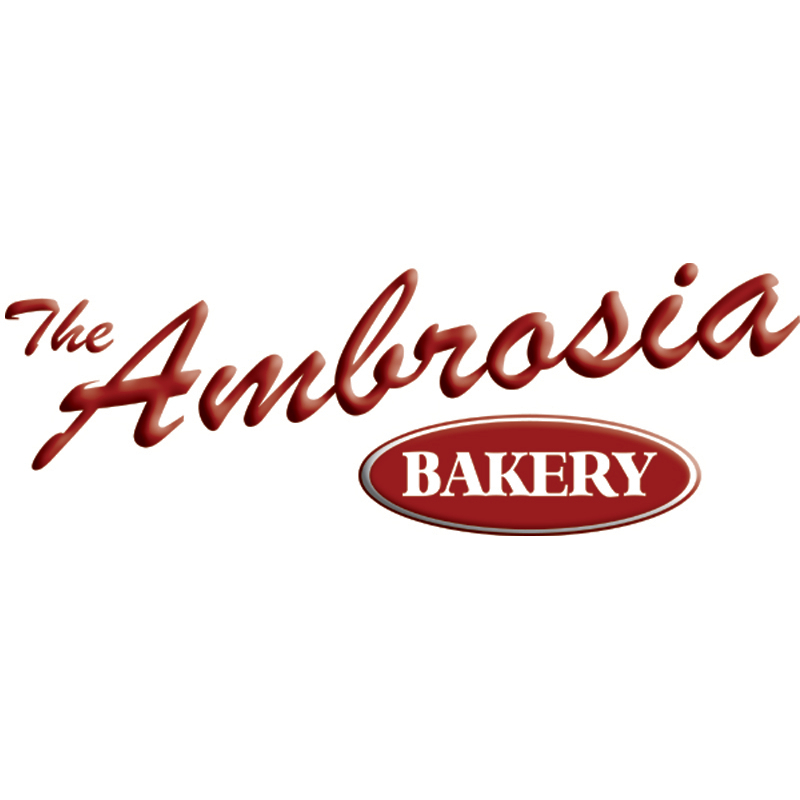 Sometimes, well, a lot of the time, I'm in the mood to find authentic hole-in-the-wall restaurants that make Baton Rouge such a great food town. 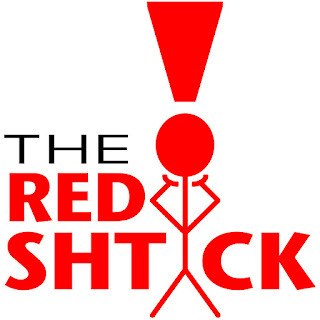 The Red Stick doesn't get enough credit in the culinary world due to all of the national chain signs that you see while driving down the interstate and New Orleans being only another 60 miles down the road. 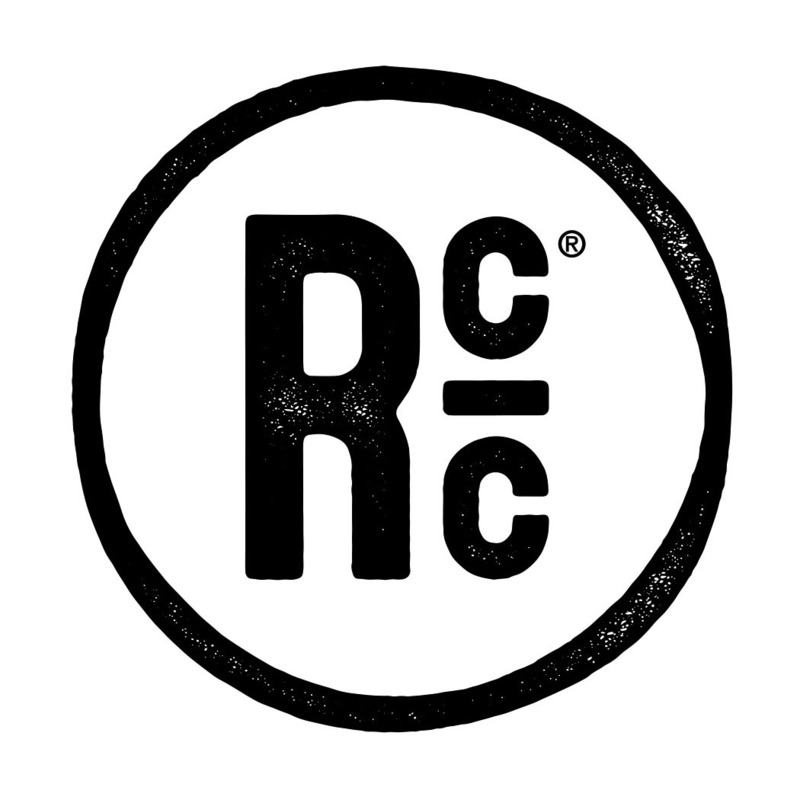 However, if you hop off the freeway and hit a side street, you'll find some locally owned eateries with some exceptional flare. One of these quaint places is Rama Thai Cuisine. 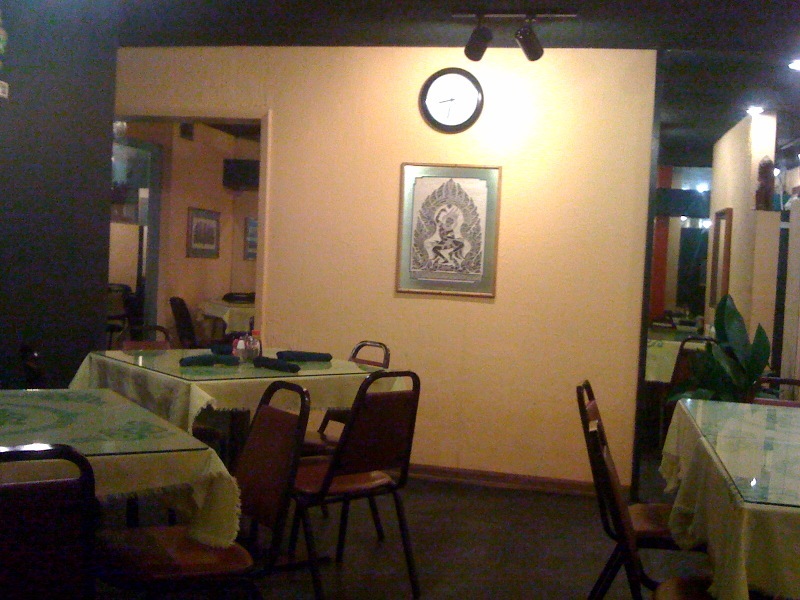 The Perkins Road Overpass area Thai restaurant is one of the forgotten gems in Baton Rouge, and it is time I give it some respect on Bite and Booze. Eusebio and I dined at Rama a little while back, and we couldn't have left more satisfied! It only felt natural to begin my meal with some Thai beer, so I ordered a Singha and started to get my taste buds ready for some Asian flavor. 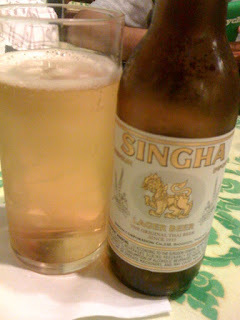 Singha is a fairly standard lager with that Asian bite that you'll recognize from other Japanese beers like Kirin Ichiban. It is pretty tasty, but I'd rather get to the food. To wet our appetites a little more, we ordered a couple of appealing appetizers. First up were the fried wontons. 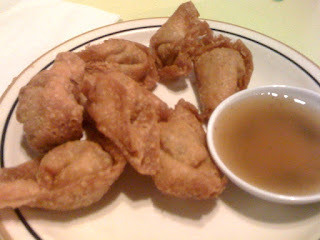 These were nothing too special but they were fried to a nice crisp and had pretty decent flavor. We had the shrimp chips for second app. 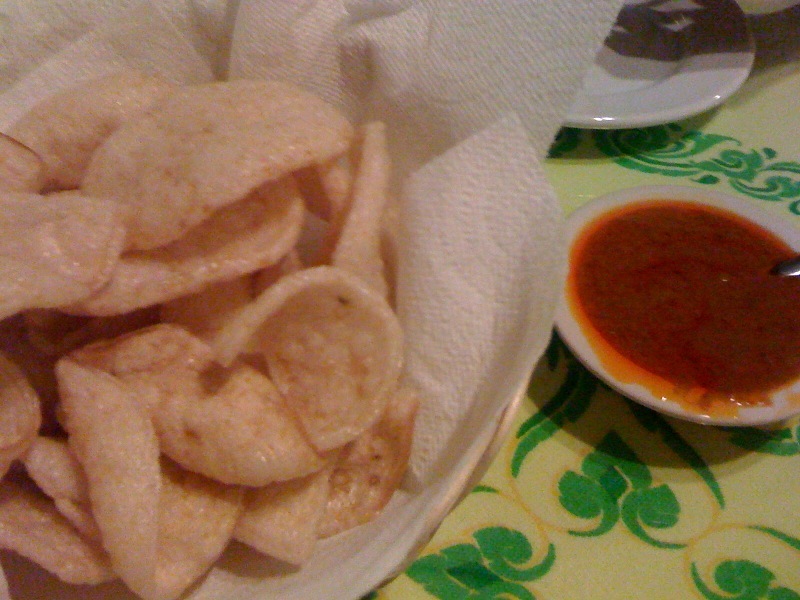 The chips were light and delicate with a great shrimp taste. They came served with a delicious peanut sauce to dip the chips in. The next dish to leave the kitchen and make its way in front of me was the lemongrass soup. This fantastic soup was sweet and spicy with a citrus flavor. 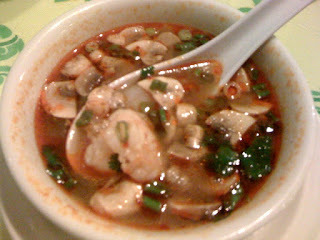 It came loaded with shrimp and mushrooms, and I ate every bite. I love a good, simple soup like this! For an entree I called on the Rama Duck. 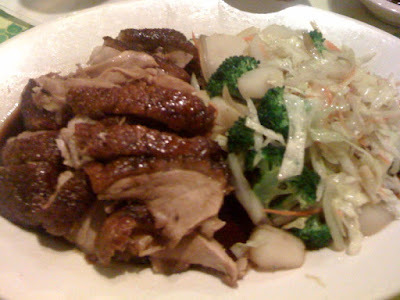 This delightful half of a duck was seasoned with Thai herbs and spices, then roasted until fork tender. Each bite of duck put a smile on my face as the flavors filled my mouth and tickled my tongue. The duck still tasted like duck meat should, and was only complemented by the sweet and savory Thai seasonings. Steamed vegetables were served with the duck, and they tasted alright, but the duck certainly highlighted the plate. For dessert, Eusebio and I couldn't decide between the fried apples with ice cream or the fried bananas with ice cream. So, we did what any good person should do: we got both! 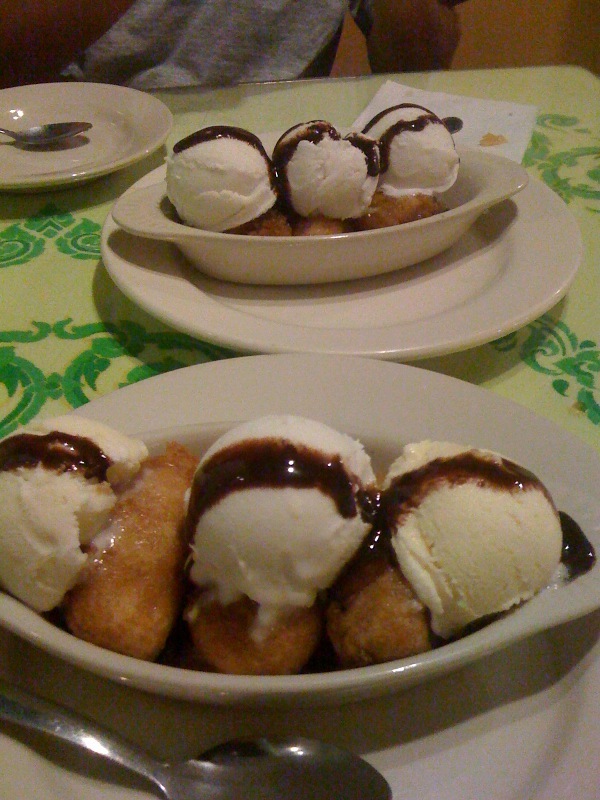 These fried-fruit desserts each came with three scoops of homemade ice cream. Rama offered a selection of ice cream flavors, of which we ordered all of them: vanilla, coconut, and durian. Yes, that's right, that durian! Eusebio and I were a little nervous to try it as an ice cream flavor, but it was actually quite good. The vanilla and coconut icecreams tasted pretty standard. 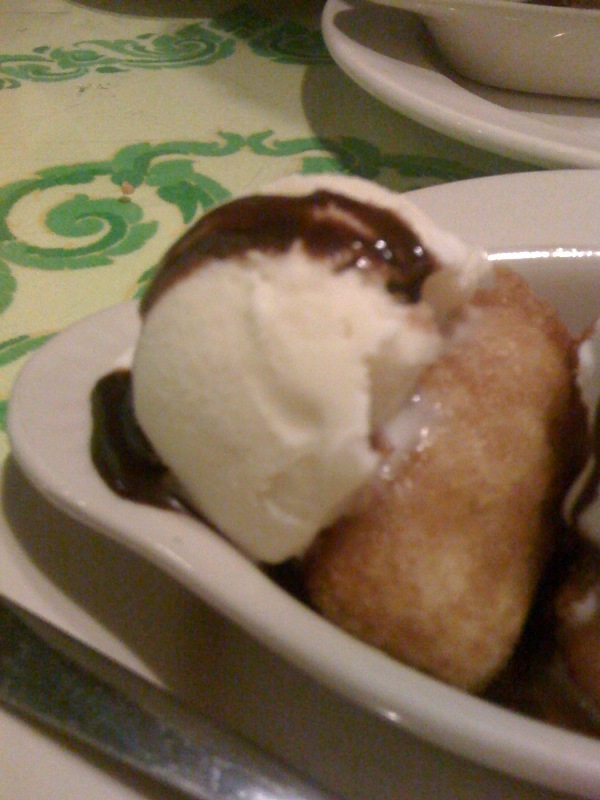 They were not very rich, but still had a smooth texture and the right amount of flavor to provide a condiment to the fried fruit and something sweet to end the meal with. The durian icecream certainly had a unique flavor but it was nothing offensive. I actually think I liked it more than the other two, even if it was just for originality alone. I wouldn't hesitate to order it again next time I go to Rama, that's for sure! 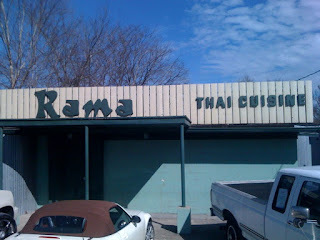 You can also check out the Cuisine Rouge post about Rama to see what they have to say about this little Thai Restaurant! I have been a fan of Rama for years but I have never had the duck and I didn't realize that they made their own Durian Ice Cream. Thanks for the heads up! No problem Frank. I'm a fan of your work for Country Roads. Glad to spread the knowledge! I couldn't agree more with this wonderful hole in the wall restaurant. It's one of BR's best! Might have to dine there tonight. Rama is one of my favorite places ever!!! The Spicy Meatballs are the best!! Spicy Meatballs?! I know what I'm getting next time! That and the Pork Cracklin Soup!! Man, I love that place.